Jobs for the Future presents the Hidalgo Early College District Toolkit, a resource for practitioners seeking to prepare all students for postsecondary success. 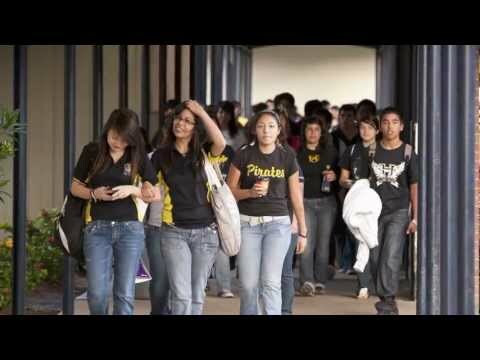 Nationally recognized for its innovative approaches and strong results, Hidalgo is a small, rural school district in South Texas where every student earns college credits before graduating from high school. After two years of collaboration with Hidalgo, Jobs for the Future is sharing the district's knowledge, in its own words, about what it takes to create college opportunity for all. The strategies and lessons in this toolkit, described from the voice of the Hidalgo Independent School District, were compiled by Jobs for the Future through visits and interviews over a period of two years. JFF created this collection of materials to help practitioners in other school districts, as they begin planning how to introduce early college opportunities or expand them to many more students, see how they might adapt Hidalgo's approaches for their own communities. Each section of the toolkit describes how Hidalgo approached a specific aspect of planning and implementing early college for all. Read the pages describing key strategies, then consult the resources at the right for example documents from Hidalgo, such as college partnership agreements, course syllabi, and informational packets about college for parents. And explore the special reports, which take a closer look at important aspects of Hidalgo's program. Here, the Hidalgo Early College District shares how it expanded early college to all students. Many high schools and colleges collaborate for years with little to show for it. Early college provides a concrete objective for these collaborations: preparing and supporting all students in earning college credits while in high school so they enter college with no need for remediation. To adopt a districtwide early college approach, we worked to develop a financial infrastructure supportive of early college. We have contained costs by reviewing our finances and shifting some resources to support and align with an early college mission. As leaders of an early college district, we have learned to play a variety of roles and take on many challenges in supporting every student to succeed in college. In doing so, we have found that part of being a leader is empowering all of our staff to adopt new roles and take leadership as well. It takes time and persistence to align curriculum between K-12 schools and colleges. For early college districts, curriculum alignment may be the most important transformation but also the most difficult to achieve. Here in Hidalgo, our college-going culture is mostly easily witnessed through the banners that hang throughout our schools and the college shirts our students wear. But our students, teachers, and parents know that its core runs deeper: its foundation is built on the opportunities and supports we provide for each student to experience success in college coursework. As an early college district, we support every student in earning college credits--from the highest achiever to the lowest-ranked student in the class. If we expect every student to tackle college, we know we also must offer the intensive academic support and college and career guidance needed to bolster their success. Sometimes, reforms are brought into districts without community and family support. If teachers and principals are unfamiliar with the surrounding neighborhoods, and parents do not feel comfortable coming into schools to ask questions, then schools can become isolated islands.